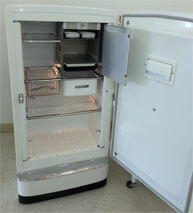 Quality Used Appliances, visit our showroom at 609 N Orchard St. in Boise, Idaho 83702. We offer high quality, technician inspected and certified refrigerators, washers, dryers, and more, at affordable prices. We offer names you trust such as Sears-Kenmore, Kitchen Aid, Maytag, General Electric, Whirlpool, Amana, Jenn-Air, Frigidaire, Westinghouse, RCA, Roper, Estate, Magic Chef, Admiral or Hot point, at the best value. Each item is inspected and worked on by our experienced staff until it achieves our measure of quality. 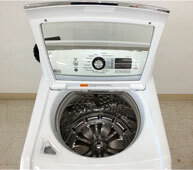 We have a full selection of used appliances in our showroom. Our knowledgeable staff will assist you with making the right choice for your next used appliance without compromising quality. Whether you are looking for gas or electric, stove or refrigerator, stop in and see us today! We also often carry electric and gas cooking ranges, microwaves, diswashers, and more. We have new inventory all the time, and can also find what your looking for - if you have something specific in mind. Please come by our showroom and let us help you upgrade the appliances in your home. You'll like our prices, and love our service. Sometimes the best option is a quality used appliance. We carry top-end models, best price options, and everythign in between. Each appliance is backed by our guarantee and warranty, and can even be delivered right to your home; and we'll even displose of your old appliance for you. We offer a variety of appliance types and expert knowledge to help you decide whether you need to repair, or replace your appliance, and if it needs replaced, we carry a full showroom of high quality used appliances that we stand behind.